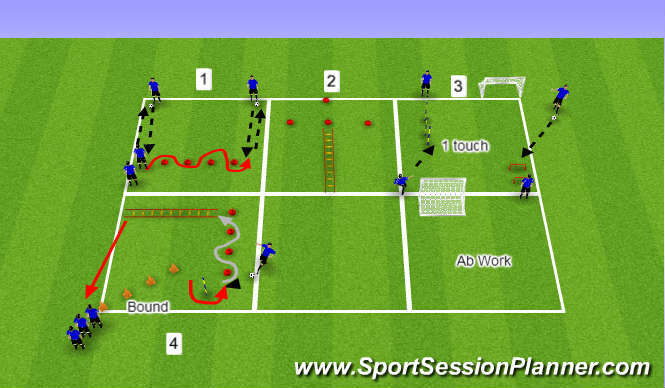 Playing out of the back to targets 4v2+2v1. 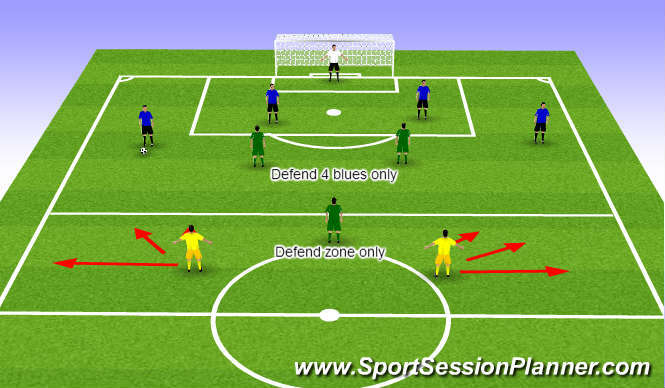 Blues try to rotate ball in zone against 2 red. Looking to play ball when possible into two yellows. Balls always start with blue, lots of repetition. If Red win the ball, they can attack 3v4 to goal. 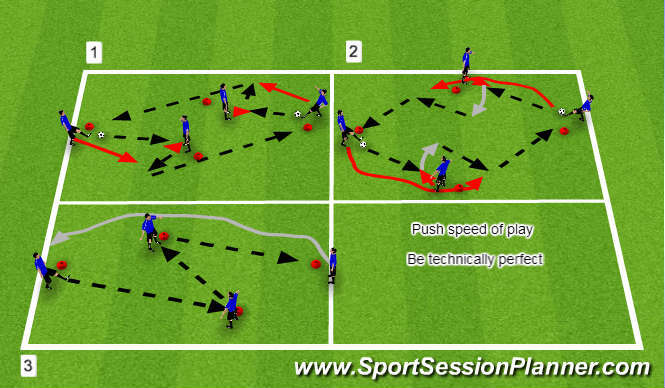 Coach players to possess the ball and to be patient going forward. 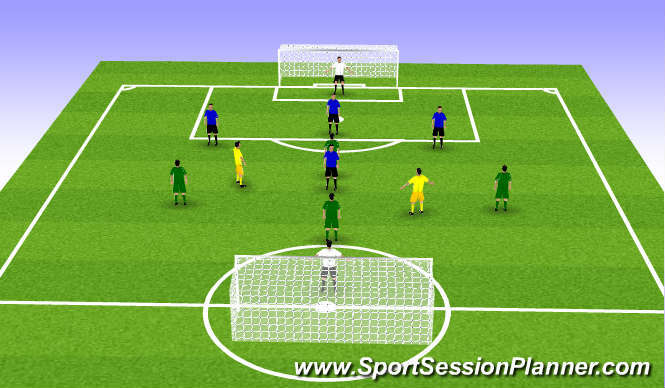 Use neutral players to help build numbers up situations. Go forward when we have numbers around the ball. If not, be patient and keep the ball.